If you are headed to NSEMC 2017/CBI in San Antonio next week we hope you have a great time!  NACC is an official sponsor, and you might find a little something in your convention bag from us. They did it! Alvvays lock down #1 on the NACC 200 for a fifth straight week and by doing so, have the longest running #1 album on the NACC 200 this year. A huge congrats to the band and everyone involved in this project. Alvvays will have their fiercest competition yet for #1 next week with Beck racing 17-2 this week and reaching #1 at Non Comm and NACC Next. Two of college and community radio’s favorite singer/songwriters, Courtney Barnett & Kurt Vile, have teamed up for the beautifully titled collaborative album Lotta Sea Lice. The album was written and recorded in Melbourne over two week-long sessions spread over two years. Both artists became huge fans of each other’s music before they met. Barnett opened for Vile in 2013 and the two formed a friendship. After emailing back and forth for months, Vile sent Barnett a half-finished version of “Over Everything” thinking she’d fit well with it, and one song soon turned into nine and Lotta Sea Lice came to be. The album races ahead from 41-8 on the NACC 200 this week joining Beck’s Colors as the two new albums in the Top 10. Profiled first here last week, Bully make our chart recap for a second week by scoring the NACC 200’s biggest jump, racing 140-15. The trio, led by Alicia Bognanno, is based in Nashville and make some of the most bombastic punk music around today. Their second album, Losing, is a breakup album that chronicles every stage of the process and features Bognanno’s “sandpaper scream” as Pitchfork calls it. Just as Beck did last week, St. Vincent doubles up our weekly feature honors this week by taking top add honors and landing the NACC 200’s highest debut. St. Vincent outdoes Beck though by debuting four spots higher on the NACC 200 than he did and by collecting the most Top 10 adds of any record this year: 143. Anne Erin Clark (aka St. Vincent) was born in Tulsa, OK and was both a member of Polyphonic Spree and Sufjan Stevens touring band before venturing out on her own in 2006. MASSEDUCTION is her fifth studio release. With St. Vincent taking two of our feature spots this week we are able to shine a light on another album. It’s our second highest climber this week, racing 198-88 and just happens to come from a rock ‘n roll legend of the highest order. At 69 years old, Robert Plant has been making music for over 50 years, first as the lead singer of Led Zeppelin and, since 1982, as a solo artist. Carry Fire is his eleventh solo LP. Plant is considered, by a myriad of music publications and polls, one of the greatest singers in the history of rock ‘n roll.